Please choose one of the the categories of frequently asked question, or select from the most popular FAQs listed below. If you still can’t find what you need, try the Snapper search. Everything you need to know about using your Snapper on a day-to-day basis. What do all the messages given by the reader on the bus mean? How do I pay for more than one person on the bus with one Snapper? What is an IOU and how do I clear it from my Snapper? Why do I need to tag off? What does it cost to top up a Snapper? What is the minimum top-up amount I can make? Do I get a receipt when I top up? I think I've been overcharged on my Snapper - what should I do? How do I collect a refund? What do I do if my Snapper is lost or stolen? How do I transfer my balance across to a new Snapper? How do I collect a Snapper token? How do I transfer buses on one single bus ride? What do I have to do if a bus breaks down and I need to get on another one? Why can't I log in to my account on the Snapper website? Can children use a Snapper Red? How do I tag on and off the bus? Why is the online balance different from the actual Snapper balance? Beep. Successful adult tag on/off. Beep beep. Successful concession tag on/off (normally child or secondary student). Please try again. The reader didn’t quite catch your card. Please touch card to the reader again. Please check your balance. You have less than $12.00 of Snapper credit remaining. Time to top up. Please pay the driver. Penalty applied. You have been charged the ‘default fare’- most likely for not tagging off on your previous trip. For more information please see “What is a penalty”. More than one card detected. The reader is picking up signals from other cards in your wallet or purse. Try moving your Snapper to the other side of your wallet, or take it out, to tag on/off. Transfer applied. A reduced fare is applied because you are getting a transfer discount. Penalty applied. You have been charged the ‘default fare’- most likely for not tagging off on your previous trip. Please take your ticket. Cash fare ticket has been printed. Please tag on at the front. You have tried to tag on a rear validator. Make your way to the front entrance of the bus to tag on. Before you tag on, tell the driver you want to Snapper another person. You can Snapper up to 5 people of each fare type on the same trip. The driver just presses a button on his console, then you tag on, and a multiple tag-on fare is charged. Tag off once for you and your friend(s). An IOU is applied when there is not enough money on your Snapper to cover your tag off fare. you travel outside of the zones that your Snapper travel pass is valid for, and your Snapper is charged an extension fare. You will need to top up your Snapper after you incur an IOU so that you can use your Snapper on public transport again. If you use a travel pass it will not work until you have cleared the IOU. The IOU is removed from your Snapper (i.e. you pay it back) the next time you tag on. Like most things in life, prevention is better than the cure. To avoid incurring an IOU on your Snapper and making your travel pass invalid you should always have some money loaded on your Snapper to cover one or two journeys on your regular commute. This is also handy in case you forget to renew your travel pass and you still need to travel using your Snapper. Snapper uses a ‘tag on, tag off’ system to work out the best value fare for your journey. Snapper is now issuing automatic refunds of penalties where a customer has tried to tag off the bus but has not been able to for reasons outside of their control, so you don’t need to worry about getting in touch with us to request a refund. Pending items are Snapper transactions that have occurred but haven’t made it all the way through the Snapper system yet. When you use your Snapper, the Snapper reader on a bus, taxi or at a retailer captures the transactions and regularly sends them to the Snapper system. Occasionally some transactions don’t make it to the Snapper system as quickly as others. While these transactions are making their way through the Snapper system your transaction history will show “pending items” which means your transaction summary will be updated shortly. The Snapper system uses Global Positioning System (GPS) information to record which stop you get on the bus and where you get off. This information is used to calculate the correct discounted fare for the journey. If you don’t tag off, the system assumes that you travelled right to the end of the line and you will be charged the full cash fare without the Snapper discount. The tag-off penalty is set by Metlink. Topping up your Snapper at a Snapper kiosk using EFTPOS is free. Topping up your Snapper online using a Snapper Feeder or Snapper USB and your credit card is free. Topping up your Snapper at a Snapper retailer or Snapper Service Centre costs 25 cents per top up. This small fee covers the cost of the retailer providing the top-up service and associated bank charges. If you top up online using MySnapper, $10 is the minimum top-up amount. If you top up at a Snapper kiosk, 1 cent is the minimum top-up amount. If you top up at a retailer, 1 cent is the minimum top-up amount. Part of what makes Snapper such a fast and convenient system is that it is electronic and does not issue paper-based tax invoices and receipts. A Snapper top-up is a transfer of money from one form to another, and not an actual purchase that attracts GST. In this way, a Snapper top-up is just like withdrawing cash from your bank account at an ATM. If you require a GST receipt for when you pay with Snapper, we recommend that you register your Snapper and use the online transaction record for your business expense claim. You can even export your transaction records into .OFX format so that it can easily be imported into popular expense claim applications such as Xero. It is also worth noting that there is no requirement for a GST tax invoice for purchases under $50. So for small purchases and bus transactions, your transaction record will suffice for tax and tracking your spend. If you make a payment of over $50 using your Snapper, ask the retailer for a tax invoice at the time you purchase, just as you would if you paid by cash, EFTPOS, or credit card. For any queries regarding payments made with your Snapper and suspected overcharging, please give our Helpdesk team a call on 0800 555 345. If you have registered your Snapper, you can check your Snapper transactions yourself online. using the free Snapper Mobile app available from Google Play with an Android near-field communication (NFC) smartphone. visit a Snapper Service Centre with your Snapper card and mention that you would like to collect your refund. If you’ve lost or broken your registered Snapper card, you can block your card to protect your balance and any passes on the card (by preventing the card from being used). To block your card, log in and select “My Account”. If you haven’t yet registered your Snapper card, you can do this online as long as you have your card number handy. Once you’ve blocked your Snapper card to protect your balance, you’ll be given a 9-digit token with instructions on how to transfer any remaining balance and passes to your new Snapper card. You can collect this token using the Snapper Mobile app, the MySnapper desktop app, or at any Snapper kiosk or retailer. Once you’ve collected the balance to a new Snapper card, your old card will be permanently blocked and cannot be used again. If you find your card before you’ve collected the balance to another card, use the “Unblock” option – this may take up to 24 hours to update in the system. If you haven’t registered your Snapper yet, register it now. It only takes two minutes and keeps your Snapper safer than cash. If your Snapper has been lost or stolen and you have registered your Snapper, you can transfer your balance, pass and concession across to a new Snapper. Simply give us a call on 0800 555 345 or email us (please include your 16-digit Snapper number). Your Snapper will then be hotlisted so it can no longer be used and your transfer will be ready to collect on your new Snapper 24 hours later. visiting a Snapper Service Centre with your 9-digit token number (a new Snapper card can be purchased at the service centre, online through the Snapper store or from a Snapper retailer). Sometimes you’re going to take more than one bus to get where you’re going. You can use Snapper to transfer between buses to ensure you pay the best fare. Within a 30 minute window on any Metlink bus, just tag on and off each bus with your Snapper card and the fare is calculated automatically for the total zones travelled. Some rules do apply: view the full list of transfer terms and conditions here. How can I check it has worked? When you tag on an additional bus within the transfer criteria you should see the words “Transfer Applied” appear on the Snapper reader. If you register your Snapper card online you will also be able to view transfers in your transaction history. This can also be done using the Android app. View the cost per zone when using Snapper on Metlink’s website here. If your bus breaks down, the bus company will send out a new bus to pick you up. When the new bus arrives don’t worry about tagging off on the broken-down bus (there will be no penalty fare); just tag onto the new bus once the driver advises, and continue on your journey as usual. If you are unable to log in to your account, it might be that your username and/or password are incorrect or that your browser does not accept cookies. Check that cookies are accepted in your browser settings. Retype your password – if you are still unable to log in, click the “forgotten password” link. Enter in your email address and then follow the instructions in the email you’ll receive. Yes. All secondary school students (Year 9 to Year 13) should use a Snapper Red. The classic Snapper Red comes pre-programmed to charge an adult fare. However, a travel concession can be applied onto the Snapper, which, in the case of secondary school students who are in full-time education, entitles them to the same child-fare concession as a Snapper Green. As you get on the bus, tag on by holding your Snapper to the Snapper Reader by the door. As you get off the bus tag off in just the same way. You can tag off at the front or the back of the bus. If you are using your mobile device to receive the password reset email, we recommend that you log into your email provider portal, website, or outlook access your emails, as we have found that mobile email clients do not always sync all junk emails to the mobile device or devices that have the client email application. Your online balance and transaction history are updated every day with the transactions that the Snapper system has received so far. Buses upload their trip data each time they reach the end of a route, because of this your transaction history may not always be completely up to date. Just like your bank statement, sometimes a transaction record may have not been received yet. Every now and then, there may be a delay in a bus uploading trip data. When this happens, the data from that trip may not appear on your transaction history for a couple of days. Use an Android NFC smartphone with the free Snapper Mobile app from Google Play. Find out more about protecting the money on your Snapper, as well as how to keep your Snapper happy. Can I punch a hole in my Snapper? What happens if I break my Snapper, or it stops working? Can a Snapper card be hacked? How secure is my Snapper? What is a blocked Snapper card? What is a permanently blocked Snapper card? You definitely shouldn’t punch holes in your Snapper. Snapper cards are built differently to simple cards with magnetic stripes (the black stripe seen on the back of most EFTPOS and credit cards). 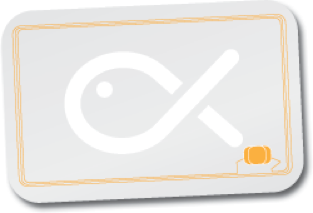 A Snapper card contains a small smartchip – if you look carefully you can see a small indentation near the bottom right-hand corner on a Snapper card. A Snapper also includes an antenna/power loop, which is invisible from the outside. With all of this technology going on inside, if you do punch a hole through the card, there’s a very good chance that you’ll break or damage the antenna, even if you don’t puncture it directly. This could stop your Snapper card working consistently, as the Snapper reader won’t be able to detect the card or provide power to the chip. If your Snapper card gets damaged or isn’t working, then email us on info@snapper.co.nz with your card number, and details of what’s happening, so our team can diagnose the problem and help you sort a replacement. To provide the highest level of security, Snapper smartcards are the latest generation of smart-chipped devices. Unlike earlier generations of smart cards that have been hacked, Snapper is based on the world-leading Infineon and SmartMX (by NXP) chipsets. Snapper uses finance industry standard authentication mechanisms based on 3DES (also referred to as Triple DES) to uniquely sign and protect transactions and ensure that cards do not accept unauthorised data. The card is protected from replaying of previous messages and man-in-the-middle attacks. The keys held on the card are not externally accessible and are set at the time of manufacture. The Triple DES security is standard in financial cards and Snapper has been approved in New Zealand by EFTPOS NZ and ANZ Bank as a secure mechanism for connection through to the nationwide EFTPOS network. To register your Snapper, you need to have a Snapper account. If you don’t already have one, you can set up a Snapper account now (it’s free), and register your Snapper while you’re here. If you already have a Snapper account, you can go right ahead and register your Snapper now. Once you’ve registered your Snapper, your balance is protected if your Snapper is ever lost or stolen. If you do lose it, email us on info@snapper.co.nz with your 16 digit Snapper card number, the email address you’ve registered your Snapper to, and details of what happened. We’ll put a block on the card so that no one else can use it. After three working days we’ll arrange to transfer your Snapper balance to a replacement Snapper (you’ll need to pay for the replacement Snapper). If you don’t register your Snapper and you lose it, then there’s nothing we can do; so make sure you register your Snapper as soon as you can. If a Snapper card has been blocked via your account, and a token has been used to transfer the balance a new Snapper card, the existing card will be permanently blocked. When is the last day I can use my 30-day travel pass? Is there a fee for buying a travel pass for my Snapper card? When does my travel pass become valid? Can I choose which days I can use my 30-day travel pass? Can I load two travel passes at the same time? If I have two different travel passes loaded, can I travel on a bus that my second travel pass is valid for, even though it's not active? Can I use money that I have loaded onto my Snapper to tag on more than one person when I have an active travel pass? Can I have money and a travel pass loaded on the same Snapper? If I lose my Snapper with a travel pass on it, can I block it to stop someone else using my travel pass? If I have an active 30-day travel pass on my card, can I catch another bus service not covered by the travel pass and pay by Snapper? What happens if I’m travelling on a travel pass and I forget to tag off? I have a valid travel pass but I can’t tag on – why is this happening? Can I use my 30-day travel pass to travel on the Airport Flyer or Valley Flyer buses in zones 1–3? Whenever you use your travel pass for the first time – by tagging on to a valid bus – you have 30 days of travel, including the day of first use and the day of last use. A travel pass expires at midnight on the last day that it is valid for. For example, if you tag on to a bus for the first time at 8.00am on 10 October, the last time you can use your travel pass is at 11.59pm on 8 November. When you have fewer than 8 days remaining on your travel pass, you’ll be reminded every time you tag on and tag off. The Snapper reader will display how many days you have left, for example, “7 DAYS”. The Snapper reader shows “1 DAY” when you’re currently on the last day that the pass is valid for. 2. At a Snapper retailer, ask for a Snapper pass query. You’ll receive a Pass Detail receipt that shows “Expiry” and a date in the last line. The day before the expiry date is the last day on which you can use your travel pass. When using MySnapper with a Snapper Feeder, you’ll see how many days are remaining on the travel passes on your Snapper. No, there’s no fee when you load a travel pass onto a Snapper card. You will only pay the price of the travel pass. While you can purchase and load a travel pass to your Snapper card at any time, your pass will only be activated the next time you tag on to a bus that’s valid for that pass. Your pass is valid for unlimited travel in the zone(s) and for the bus service(s) covered by the pass. Your pass is valid for 30 consecutive days from the day it’s activated, and expires at midnight on the last day. Your travel pass expires 30 days after you first use it. A 30-day travel pass doesn’t mean you have 30 days of travel to use whenever you want to. After you buy a Snapper pass, the 30 days starts the next time you tag on to a valid bus for that pass. Yes. You can load up to two passes on your Snapper at a time. If you already have an active pass on your Snapper card, you can load the next travel pass any time before the first pass expires. You can even purchase and load two travel passes at the same time. The second travel pass will be activated when you next tag on after your first travel pass has expired. No. You can only travel with a travel pass on services that your active pass is valid for (you can only have one active pass at once). If you travel on a bus that isn’t valid for your active travel pass, the Snapper reader will deduct the minimum boarding fare from the money loaded on your Snapper when you tag on. When you tag off, the balance of the fare for your journey will be deducted from the money on your Snapper. Even if you regularly travel using a travel pass on your Snapper, it’s a good idea to also have a few dollars loaded onto your Snapper for emergencies. You can’t use a travel pass and money at the same time. If you’re tagging on for two people, you’ll need to use the money on your Snapper for both fares, rather than your travel pass. Yes. You can have both a travel pass and money loaded onto your Snapper at the same time. We strongly recommend you always have a few dollars loaded onto your Snapper, even when you regularly use a travel pass. That way, if your travel pass runs out unexpectedly, you’ll still be able to travel; and if you use a bus service that your travel pass isn’t valid for, you’ll still be able to pay for your trip using Snapper and get any Snapper discount that applies. Yes. You can travel on another bus service as long as you have money loaded on to your Snapper. Simply tag on and tag off as usual and the Snapper fare will be deducted automatically from your Snapper balance. Remember to make sure that you tag off, so you don’t get charged all the way to the end of the line. It’s always a good idea to have a few dollars loaded onto your Snapper just in case. Snapper customers using Metlink travel passes will not be charged a penalty fare when using their travel pass on the bus services and within the zone(s) in which it is valid. Travel passes are loaded onto a standard Snapper. If you have an active travel pass but also want to travel on other services that the travel pass doesn’t cover (e.g. Airport Flyer for the GO Wellington pass), you’ll need to tag on and tag off, and the correct fare will be deducted from the money on your Snapper. Tagging on and off every Snapper service is the best way to make sure you get charged the correct fare for your travel, regardless of which Snapper product you’ve bought that month. If you have a valid travel pass but can’t tag on, this may be because your Snapper has an IOU or a penalty fare. You won’t be able to tag on if you have an IOU or a penalty fare on your Snapper, regardless of what bus service or zone you are tagging on in, until you top up your Snapper balance by at least the amount of the IOU or the penalty fare. If you want to use a bus service not covered by your travel pass, you’ll need to make sure you have money loaded onto your Snapper so you can travel. We strongly recommend you always have a few dollars loaded onto your Snapper, even when you regularly use a travel pass. That way, if your travel pass runs out unexpectedly, you’ll still be able to travel, and you’ll be able to use other services not covered by your pass. Other reasons why might not be able to tag on include: your Snapper is broken, or you waved it around or held it too far from the Snapper reader. Remember to hold your Snapper flat and still to the Snapper reader when tagging on and tagging off, until you hear the confirmation beep and see the green confirmation circle on the reader. No. The Metlink 30-day pass is only valid on Metlink bus services. You can find out more about the 30-day bus pass here. Got a problem or a question about Snapper Mobile? Check out the Snapper Mobile FAQs below for the most common questions and solutions to get yourself back up and running, or contact us directly using in-app feedback. If that doesn’t work, you can always email us. How do I read the balance and top up another Snapper? Can I get the Snapper Mobile app on my iPhone? What app permissions are required and why? Why is my Semble SIM no longer working? My Snapper card isn't showing up in the app. The Snapper Mobile app isn't reading my Snapper card, or letting me collect my top up. Place any Snapper card to the back of your Android NFC smartphone whenever the phone is unlocked, and the Snapper Mobile app will display the balance on that card. If you’re having trouble reading a Snapper card, it’s simple to check whether you’ve got a supported card. If you can’t see a ‘+’ sign in the top right-hand corner on the front of the card, get in touch and we’ll replace your old Snapper card for free. No. The NFC on Apple iPhone devices is not accessible to third-party apps such as Snapper Mobile. REQUIREMENTS WHY IS IT NEEDED? Read phone status and identity (READ_PHONE_STATE) Having permission to read a phone’s status and identity allows the app to read a unique ID (IMEI) associated with the user’s phone. This allows Snapper to block a specific phone from using the Snapper Mobile app if needed. Approximate location – Network based (ACCESS_COARSE_LOCATION) *Optional* Add on that allows Snapper to collect analytics of usage of the Snapper app. We aren’t trying to stalk you, but the better we know and understand how you use Snapper and the app the better we can build future releases for you. Precise location – GPS & Network based (ACCESS_FINE_LOCATION) [Optional] This add on allows Snapper to collect analytics of usage of the Snapper app. We aren’t trying to stalk you, but the better we know and understand how you use Snapper and the app the better we can build future releases for you. Read the contents of your USB storage (READ_EXTERNAL_STORAGE) The app checks your external storage (memory), as our in-app messaging tool has the option to attach a photo to your message. Control NFC (NFC) To access NFC hardware. Full network access (ACCESS_NETWORK_STATE) The Snapper Mobile app communicates with Snapper servers through the internet, and data from these servers is needed to read the Snapper card (and to make changes to the card, like topping up). Org.simalliance.openmobileapi.SMARTCARD (SMARTCARD) This lets the Snapper app communicate with secure elements, like the Snapper SIM. View network connections (INTERNET) To connect to the internet, a user will need to be able to view their network connections (then they will be able to select a network that will allow them to connect to the internet). Control vibrations (VIBRATE) The Snapper app uses vibration to notify the user (for example, the app uses vibrations to notify the user that they have increased the top up amount on the top up dial). Prevent phone from sleeping (WAKE_LOCK) This keeps the processor from sleeping when a message is received to keep the user aware of events (for example receiving a message from the in-app messaging centre). Semble discontinued mobile development in August 2016 which means Snapper-enabled SIM cards are no longer available. If you’re an existing Semble user and your Semble SIM has stopped working as a Snapper card, get in touch and we’ll sort you a free Snapper card, and transfer your Snapper balance from your SIM onto your new card for you. The Snapper Mobile app uses NFC to read your card information directly off the card. Hold your Snapper card to the NFC sweet spot at the back of your phone – this may take a few seconds. If the Snapper Mobile app isn’t reading your card, make sure your NFC is turned on (you’ll find this under “Settings” on your phone). If you have other cards nearby, or a thick case on your phone, the Snapper Mobile app may not be able to read your card. The Snapper Mobile app uses NFC to read the Snapper card. If the app won’t read your Snapper card, start by confirming that your device has NFC, and that this is turned on. You could try turning your NFC off and on again, before reading your card. To read your Snapper card with the app, it’s important to hold the Snapper to the NFC sweet spot on the back of your phone (this could take a few seconds). You can confirm that your Snapper card’s compatible with the app, by checking for the “+” symbol in the corner. If you can’t see a “+” symbol, just let us know, and we’ll swap your old card for a new Snapper card for free. Other things that could cause issues reading the card include having a thick case on your phone (which might make it harder for the NFC to work), or having other cards near the phone while reading your Snapper card. It’s also possible that if your device was purchased overseas or is a parallel import (e.g. the parallel import phones sold by retailers Noel Leeming or JB HiFi), the NFC may not be configured for the New Zealand market, meaning it’s incompatible with the Snapper Mobile app. What does my transaction history show for bus tag on and tag off transactions? What does my transaction history show for pass transaction? What does my transaction history show when I transfer between buses using my Snapper card? My transaction history shows a ``pending item`` - what is this? My transaction history shows a penalty - what is this? My transaction history shows an IOU - what is this? How do I print or export my transaction history from the Snapper website? I just topped up my Snapper card - why hasn't my website balance changed? In the initial transaction, you’ll see your total travel cost of that journey. This is the combined cost of your tag on and tag off fare. When you select the transaction, it will expand to show the detail of the separate tag on and tag off fares. The description includes the bus company you travelled with, for example “Go Wellington”, “Richies” or “Valley Flyer”. When expanded, this will show the names of the stops where you tagged on and off. If you’re using a pass, you’ll see that there’s no amount written next to your transaction, but you’ll still be able to see where you tagged on and off the bus. Your transaction history will also show the running purse balance of your Snapper card. If you’ve transferred between buses, these transactions will be linked together in your transaction history under a single journey. Select the journey to view all tag on and tag off locations and amounts for your trip. Your Snapper card transactions need to make their way from the bus, to the bus depot, and then to the cloud, before they can be displayed on our website. This process may take up to 24 – 48 hours, depending on how frequently the bus uploads its information to the system. This also means that some transactions come in before others. When your balance has changed, but the system hasn’t yet received all the data for those transactions, you’ll see a “pending item” in your transaction history. Any item in your transaction history that doesn’t follow the normal transaction process (e.g. a tag on, followed by a tag off) will be displayed in red. The most common reason for a penalty charge in your transaction history is that we have a record of you tagging on to the bus, but no record of you tagging off, meaning you’ll be charged cash fare to the end of the line (as we weren’t able to calculate your correct fare). A penalty transaction before it is expanded will be indicated in red. Select the transaction to view the transaction detail. The penalty detail will be displayed in red, along with an explanation for why it was received. If this penalty is the result of a “Missing tag off” from the previous trip, you’ll be able to see this in red. An IOU is charged when you’re able to tag on to the bus with your Snapper card, but don’t have enough funds on your card to tag off. We’ll show any IOUs in red in your transaction history. When you select the transaction, you’ll be able to see the tag on amount, along with how much of the tag off fare you were able to pay (if any). If you need an IOU to tag off the bus, the amount left owing will display in red, and this will be paid back the next time you tag on (along with your normal tag on fare). When viewing your transaction history on the Snapper website, you’ll see icon options for filtering by date, printing and exporting. If you’re unable to export your transaction history as a PDF when using the Chrome browser, please try another browser – we’re working to solve this in an upcoming release. If you’re unable to view your transaction history for a full year (e.g. for an expense claim), please try viewing and exporting up to three months of your transaction history at a time. The Snapper website transaction history and balance of your card is not displayed in real-time, because the Snapper card balance and data is held on the card itself (rather than online). The information displayed on the website is passed back through the system, meaning there may be a delay of up to 24 – 48 hours before the website is up to date. For a real-time balance and recent transactions, we’d recommend using the Android app, Snapper Kiosks or Snapper Retailers. Why is MySnapper telling me that my Snapper could not be detected? Why can’t I top up my Snapper? I'm behind a firewall and can't download an .exe file. I've already got Adobe AIR and the MySnapper install stops half way. I need an individual component of the MySnapper package. How do I uninstall MySnapper? My installation fails with the error message, ``Service 'MySnapper driver package' failed to start``. How do I top up with MySnapper? Make sure that your Snapper Feeder is firmly in place and that your Snapper is securely under the Feeder’s clip. If you’re still having problems, try using another of your computer’s USB ports. Try closing the MySnapper application and relaunching it. Have you checked that everything’s plugged in properly? Check to see whether the balance is currently being displayed. If you’re using a Snapper Feeder, have you got a Snapper securely in place under the clip? Are you online? You can check balances off-line as the balance is read directly from the Snapper. For topping up, however, we need to process your credit card payment, and you must be online for that to happen. Are you trying to add less than $10? Try a larger amount. Will the total value of your Snapper add up to more than $300? If so, try a smaller amount. Are you sure you’re using the correct credit card details? Check your details and try again. If you want to download the MySnapper application but find you are blocked from downloading an .exe. (executable) file by a firewall, a zipped-up version that you are more likely to be able to download is below. Download this version instead, extract (unzip) it into a new folder and then run the MySnapper.exe file you have extracted to install MySnapper. If you already have Adobe AIR installed on your computer, it is possible that when you try and install MySnapper, Adobe AIR will complain and force you to quit the installation process. Unfortunately, Adobe AIR offers you no choice but to close and quit the installation. If you are forced to close out at this point, you’ve already installed the driver package, and of course you already have Adobe AIR, so all you need to do is to install MySnapper itself. If you need the Air runtime, please download it from Adobe.com. Re-launch MySnapper, attach your Snapper to the feeder, and see if MySnapper shows the card and its details. If your Mac does not recognise the Snapper Feeder, please insert into another USB port that is available and try the above steps again. If your Windows PC does not recognise the Snapper Feeder, please insert into another USB port that is available and try the above steps again. Once they’re in the trash, empty/delete the contents of trash. If you would like to re-install MySnapper, here’s how to do this using a Mac. Select “Add or remove Programs” or “Programs and Features”. Select “MySnapper” and click uninstall. Select “MySnapper Device Package” and click uninstall. If you see this error, the problem is very likely that the “MySnapper Driver Package” depends on the “Smart Card’”and “Plug and Play” Windows services running, and one of them probably is not – very likely “Smart Card”. By default, Windows starts this service whenever it is required. If the “Smart Card” service is disabled, then the “MySnapper Driver Package” cannot start. Right click on “My Computer”, then click “Manage”. In the window that appears expand “Services and Applications” in the left hand pane, then click on “Services” that will appear immediately below. You will then be presented with a list of services which will include “Smart Card”. Having found the “Smart Card” item, right-click to access its properties and ensure that it is set to “Manual” or if you continue to have problems, “Automatic”. You can now retry installing MySnapper. If you still have problems, please contact us. Launch MySnapper, and ensure you are online. With a Snapper Feeder in your computer’s USB port, and a Snapper card placed under the Feeder clip, select Top Up from the menu in the left-hand side of the MySnapper window. Type the amount you’d like to top up your Snapper with in the box that says “amount”. Please note there is a minimum top-up of $10 and it is not possible to have more than $300 on a Snapper at any time. Hit the “Top up” button. The display will confirm the amount of the top up and your new balance. The Snapper balance in the left-hand column of the MySnapper window will also be updated. To top up another Snapper card, simply remove the current card, slip in the new one, and do it all again. We’ve also made sure that topping up with MySnapper is as safe as possible. If your top up is interrupted for any reason after you make a payment, the system will realise and a pending reload will be generated for your Snapper. Download a fresh copy of MySnapper from here. Attempt to run the application. Can I use Snapper to pay for parking? You can no longer pay for your parking using Snapper. From the 2nd July 2018, Wellington City Council (WCC) began removing Snapper functionality from the on-street parking meters. This was done as a result of the issues experienced with particular credit cards on the machines causing machines to require full replacements. Unfortunately, the replacements did not include Snapper. The removal of Snapper from 512 Parking meters was completed at the end of October 2018. Are there additional fees when using Snapper to pay for a taxi fare? Is there a discount when using Snapper to pay for a taxi fare? Should I hand the driver my Snapper card when I'm paying for my taxi ride? Will I be given a receipt when I pay for my taxi fare with Snapper? Most taxi companies charge a fee if they need to process an electronic transaction to pay for a taxi fare. This fee varies from operator to operator, however, the majority of taxi companies that accept Snapper charge a $2 electronic transaction fee, except for Green Cabs, who charge no transaction fees. Taxi companies don’t offer a discount when paying for a taxi fare with Snapper. However, Green Cabs don’t charge an electronic transaction fee, making Snapper the perfect replacement for cash. No, you don’t need to hand the driver your Snapper card when paying for your taxi fare. The driver should enter the fare into the EFTPOS terminal and hand it to you. Hold your Snapper on the screen of the EFTPOS terminal to pay. Your fare will be deducted from your Snapper card, the terminal will beep and your new Snapper balance will be displayed on the screen. The EFTPOS terminal in taxis will print a customer receipt if you need it. However, if you have registered your Snapper, you can view your transaction history online anytime and use this for any expense claims. Registering your Snapper also means you can block it from further use if it is lost or stolen, and any unused money or travel passes can be transferred to a replacement Snapper. Where can I use my Total Mobility card? Do all taxi companies accept Total Mobility? Does my Total Mobility concession apply on buses? What if my Total Mobility card is lost or stolen? As part of the Total Mobility scheme, Total Mobility cards are accepted by authorised taxi companies within the Greater Wellington Region. This includes Wellington City, the Hutt Valley, Porirua Basin, the Kapiti Coast, Otaki and the Wairarapa. The Total Mobility card can also be used as a Snapper card for payment on all Metlink buses. No, not all taxi providers accept Total Mobility. To avoid disappointment, please mention that you’re a Total Mobility customer when ordering your taxi. Yes, your Total Mobility card will have a Metlink accessible concession loaded onto it so you can use it to tag on and off the bus and receive a 50% discount off the peak-time adult Snapper fares. Please note this concession will work on Metlink buses only. It is not available on independent commercial services. For fares and discounts on these services you will need to contact your service provider. If your Total Mobility card is lost or stolen, you’ll need to contact the Greater Wellington Regional Council for a new one. You won’t have to send us a new photo but you may be charged a small replacement fee.